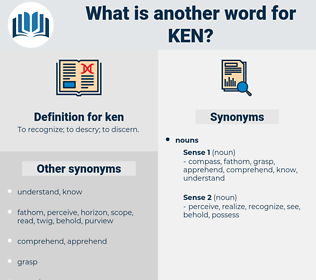 What is another word for ken? 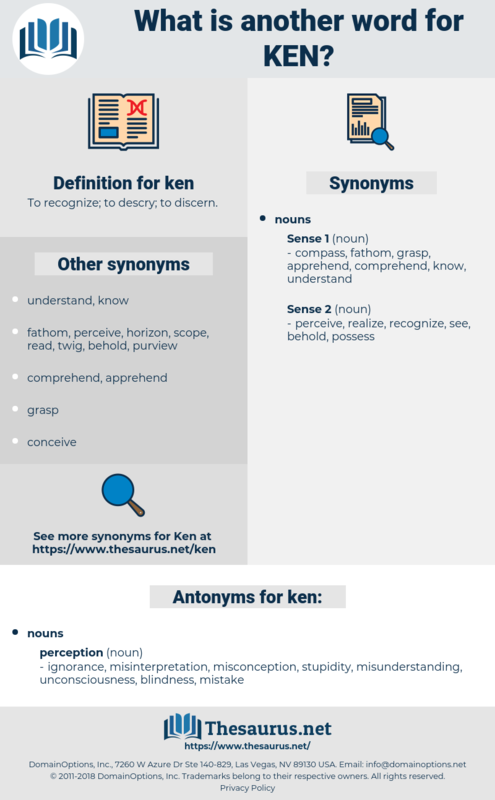 To recognize; to descry; to discern. ignorance, misinterpretation, misconception, stupidity, misunderstanding, unconsciousness, blindness, mistake. Ken is on a trip. compass, range, grasp, knowing, reach.